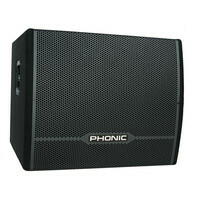 The Phonic Safari 3000P Passive Speaker is a 320 watt impact resistant and lightweight design ideal for anyone needing a portable PA solution. 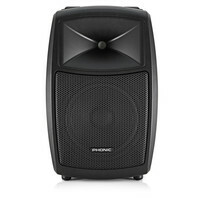 The 3000P is a perfect speaker for expanding the Phonic Safari 3000 Portable PA System and other PA systems. The Phonic iSK215A Deluxe Active Loudspeaker is a 15 Dual 1600 Watt active loudspeaker with a 1″ titanium compression tweeter and long-throw woofers. The iSK215A features a thick foamed grille vertical curvatures and is also studio-tune for added acoustic quality. This dual version of the 15A features 15″ woofers for more robust audio and the 1″ titanium compression tweeter extends beyond 22kHZ. Included in the deluxe version are extra XLR and 1/4 inputs for extra versatility when it comes to connectivity. With its heavy-duty durable design plus unsurpassed audio response and extensive mounting possibilities; the iSK215As are the ideal sound solution for a whole range of applications. For more information on the iSK Deluxe series please refer to the PDF below. 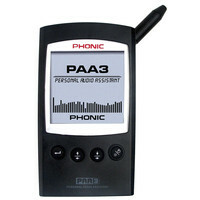 The Phonic PAA3 Audio Analyzer is a handheld audio analyzer with USB interface. The highly accurate handheld audio analyzer delivers a wide range of sound analysis tools. With a myriad of different features the PAA3 is the ideal audio solution for portable use. Some of the features include: 31-band real time spectrum analysis RT60 SPL and line meter internal generator EQ setting program microphone calibration and speaker phase checking abilities. This comprehensive range of features makes the PAA3 ideal for a range of different audio applications from live settings to on-the-road use. 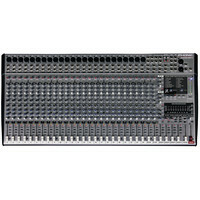 The Phonic AM 3242FX Analog Mixer is a 32 channel mixer with 24 mic/line and 4 stereo inputs. Featuring a 9-band stereo graphic EQ and full-featured talkback section the AM3242FX is the ideal mixing solution for any professional studio environment in need of a large amount of channels for larger recording projects. The 3-band EQ plus switchable low-cut filters on all mono channels ensure you have increased control over your inputs. Also featured within this unit is a 40-bit digital stereo multi-effect processor with 100 programs and 4 AUX sends per channel for easy and versatile input manipulation. For more information on the AM Series please refer to the PDF below. 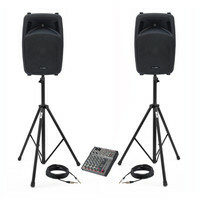 A UK exclusive from Gear4music this 700W Phonic Jubi 12A PA System includes a pair of Phonic JUBI 12A Active PA Speakers a Phonic AM220 Analog Mixer and a pair of Jack – Jack Speaker Cables 9m. 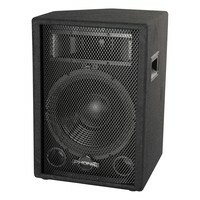 This package is a powerful and portable PA system that is ideal for musicians and business persons alike. 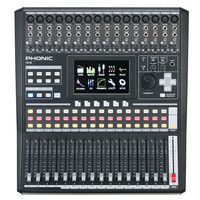 The Phonic AM4400DP Analog Mixer With DFX and USB Playback is a compact and versatile mixer with 4 mono mic/line and 2 stereo channel inputs. This expanded version of the AM440D features USB playback and a 32/40 bit digital stereo multi-effect processor with 100 and tap delay programs each with its own adjustable parameter. The pre-amps feature ultra low noise technology to ensure a professional and quality sound when used for recording. Mono channels have low-cut filters to eliminate any unwanted sounds such as stage rumble sibilance wind noise and any background noise you may encounter. With its multi-band EQ on mono channels dual multi-segment LED level meters and high volume headphone outputs the AM440DP makes monitoring and controlling a mix even easier. With its versatile functionality and USB Playback this unit is ideal for anyone looking to add to their home recording setup. For more information please refer to the PDF below. 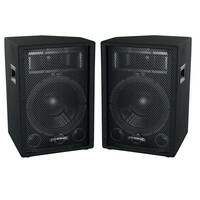 The Phonic SEM712 Plus Passive Speaker sold here in a pair is a 12 inch 2-way stage/floor speaker. This unit features a 12″ heavy duty woofer and piezo tweeter. Along with an impressive 460 Watts (Program) or 230 Watts (RMS) of power and its affordable price tag the SEM712 is ideal for cost effective front of house application. For more information on the SEM Plus series please refer to the PDF below. The Phonic ISI6 Digital Mixer With Colour Touch Screen is a 16 channel advanced digital mixer with 16 mono mic/line insert points and grouped phantom power. The unit also has flexible output possibilities through its 1/4″ multi outputs XLR main and control room outputs. The IS16s smart design features a colour touch screen and VGA output for those who primarily work with computers in their recording and mixing process. With a myriad of features this digital mixer is ideal for any professional studio engineer looking to broaden their digital equipment. For more information please refer to the PDF below. The Phonic iSK8A Deluxe Active Loudspeaker is a 8 700 Watt active loudspeaker with a 1″ titanium compression tweeter and 8 woofer. The iSK8A features a thick foamed grille vertical curvatures and is studio-tuned for added acoustic quality. The 1″ titanium compression tweeter extends beyond 22kHZ. Included in the deluxe version are XLR and 1/4 inputs for extra versatility when it comes to connectivity. With its heavy-duty durable design plus unsurpassed audio response and extensive mounting possibilities; the iSK8As are the ideal sound solution for a whole range of applications. For more information on the iSK Deluxe series please refer to the PDF below. 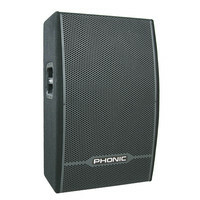 The Phonic SEM712 Passive PA Speaker is an affordable passive PA speaker which can be used as either a floor monitor or front of house speaker. Housing a single 12 inch woofer and piezo tweeter the SEM712 PA Speaker produces up to 300 watts RMS (Peak) perfect for small capacity venues or acoustic sessions. The Phonic SEM712 is constructed from a robust wooden enclosure and also features side mounted carry handles and steel corner protectors.